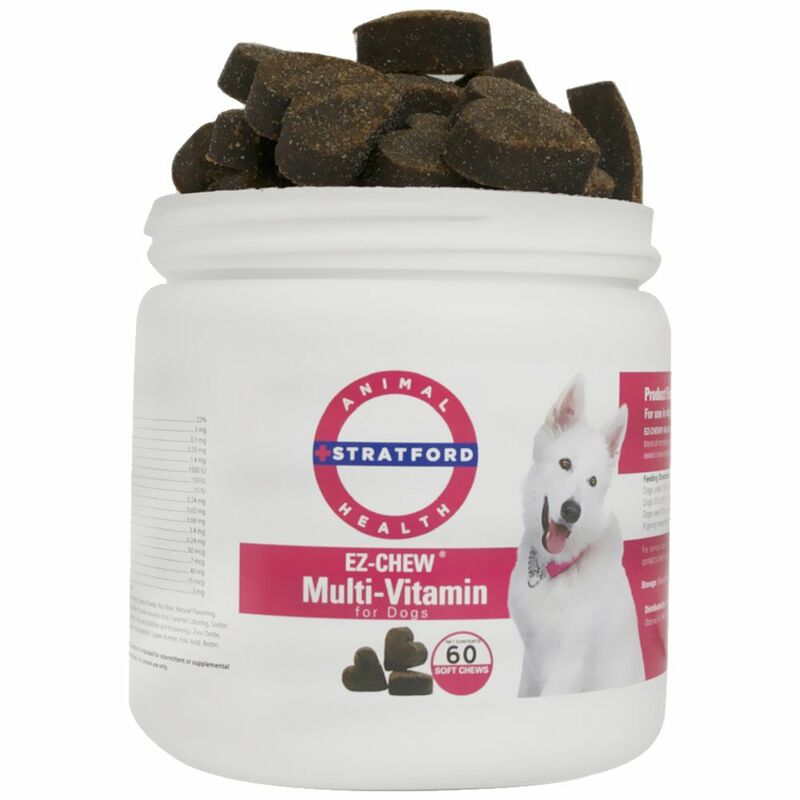 These mutli-vitamins come in the form of highly palatable soft chews that makes feeding them to your pets as easy as possible. This bottle of multi-vitamins comes with 60 soft chews but there is also a bottle with 180 soft chews available. These chews are easy to use and contain everything your dog needs to maintain overall health, so order them for your dog today! Ingredients: Cane Molasses, Dried Chicken Liver, Dicalcium Phosphate, Wheat Flour, Soybean Oil, Soy Flour, Glycerine, Lecithin, Corn Starch, Sugar, Salt, Vitamin E Supplement, Natural Hickory Smoke Flavor, Bacon Flavor, Potassium Sorbate (preservative), Iron Amino Acid Chelate, Magnesium Oxide, Zinc Amino Acid Chelate, Riboflavin Supplement, Vitamin A acetate, Niacinamide, Mixed Tocopherols (preservative), Propylparaben (preservative), Choline Chloride, Copper Amino Acid Chelate, Vitamin D3 Supplement, Vitamin B12 Supplement, Potassium Citrate, Manganese Amino Acid Chelate, Thiamine Hydrochloride, D-Calcium Oantothenate, Pyridoxine Hydrochloride, Cobalt Amino Acid Chelate, Folic Acid, Potassium Iodide.